Maxar Technologies’ (NYSE: MAXR) Radiant Solutions business unit has unveiled a new strategy that aims to converge its legacy businesses in an effort to deliver geospatial data and insights designed to transform intelligence and global mapping missions in support of commercial and national security clients. 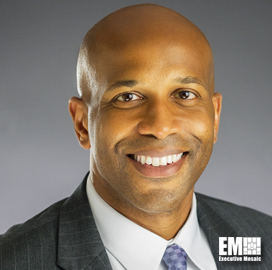 Tony Frazier, president of Radiant Solutions, said in a statement released Monday the formation of Radiant Solutions seeks to create a commercial mindset that aims to address national security problems. “We are driven to help our customers break down those silos and get to the best geospatial information and insights across multiple sources on rapid timelines based on our unmatched data collection, enrichment and analytic capabilities,” Frazier added. Geospatial services brands and businesses that will operate under Radiant Solutions include DigitalGlobe Intelligence Solutions, RadiantBlue, MDA Information Systems and HumanGeo. Radiant Solutions will operate with more than 1,000 geospatial analysts, aerospace engineers, data scientists, DevOps engineers, weather and ocean experts as well as focus on three mission areas in support of geospatial intelligence clients: agile intelligence, data to insight and sensor and ground modernization. The agile intelligence mission area aims to leverage big data analytics and machine learning tools to help national security clients process intelligence data and identify emerging threats, while the sensor and modernization area seeks to help warfighters and analysts gather and process sensor-based optical imagery and radar information. The data to insight mission area aims to help commercial and government clients harness open source software and cloud computing to facilitate analysis of large volumes of radar and satellite imagery data. Maxar officially launched in October after MacDonald, Dettwiler and Associates completed its $3.6 billion acquisition of DigitalGlobe.